Terry O’Neill began his musical education as a high school student, taking guitar lessons at his local music store in Kensington, Maryland. Later, he branched out on mandolin, fiddle, and dulcimer. A growing interest in Irish traditional music led him to a decade-long association with fiddler Brendan Mulvihill, first as a student and later as a duet partner. After relocating to the Baltimore area, Terry performed and recorded throughout the 80’s and 90’s with groups such as Reel Time, Dogs Among the Bushes, and Kinsale throughout the East Coast and in Europe. In 1997, Terry earned a bachelor’s degree in Instrumental Music Education from Towson University, where he studied classical violin with Zoltan Szabo. In 2007, he earned a master’s degree in Instrumental Music Education at Towson University. 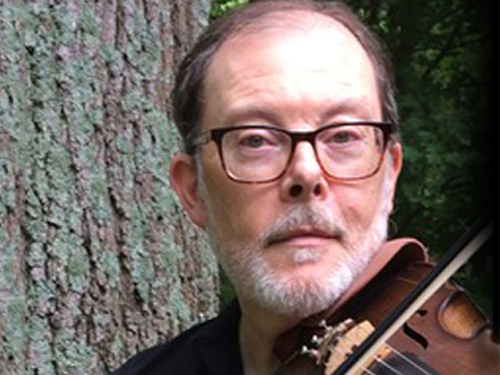 To enhance his eclectic approach to string teaching, he studied with leading string educators Bob Phillips and Robert Gillespie at Ohio State University and participated in fiddle classes at Common Ground on the Hill at McDaniel College. He has been employed as a music teacher by Harford County Public Schools since 1998, and has been Orchestra and Guitar Ensemble Director at Bel Air High School since 1999. He continues to pursue his love of classical music as a violinist with the Susquehanna Symphony Orchestra. Terry teaches beginning and intermediate violin and viola, as well as Irish and American fiddle styles.